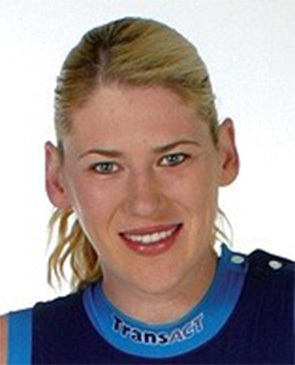 Canberra Capitals/Seattle Storm star Lauren Jackson is widely recognised as one of the best women's basketball players ever. The Australian Opals vice-captain has won international acclaim for her athleticism, skills, attitude and passion. Lauren started playing at the age of four. Twelve years later she was named in the national squad. Her story since then has one of record after record, including becoming the first non- American to be named as the USA's most valued player and leading the ACT team to two national premierships. As a twelve-year-old, Lauren wrote herself a note:'I am going to play at the 2000 Olympics.' At sixteen, she became the youngest person ever to be selected for the women's national team. The Opals won silver in Sydney and repeated the performance in Athens in 2004. Her professional excellence and her inspirational performances make her a truly exceptional role model for all young Australians.